Be Back Soon is a song from the musical Oliver! Words and Music by Lionel Bart. 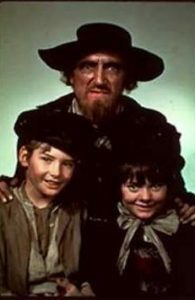 It is sung by Fagin, the Artful Dodger, Oliver, and the boys as Fagin sends them out to work. As pickpockets. Boys: (marching in place) Aye aye! It’s him that pays the piper. But they don’t know this tune. April 4, 2018 admin Song Lyrics Oliver!